An Extended Deep Water 12 hour Legendary Adventure for the serious sport fisher. You will hit hard to reach fishing spots our competition can't reach. 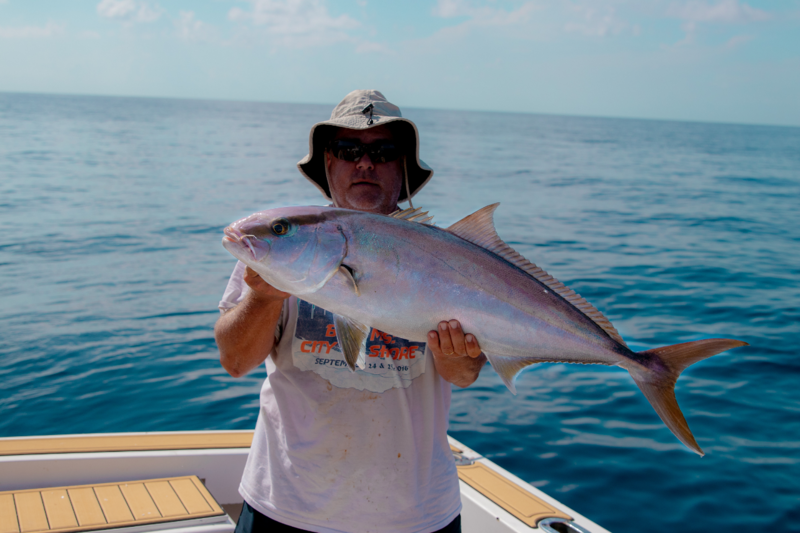 This trip is for the serious fishermen and is not suited for the inexperienced off shore fishermen. Expect to hit some serious deep water spots with epic catches of Gag Grouper, huge Snapper, Red Grouper, Amberjack, Cobia, and more.